On the 26th January 20011 Right To Ride’s Elaine Hardy attended the 7th ACEM Conference in Brussels. The topic was the EU Commission’s proposal for framework regulations, COM 2010/542. As would be expected, the main thrust of the conference concentrated on the industry’s concerns. Stefan Pierer, President of ACEM and CEO of KTM said, “Market figures for 2010 actually show no sign of recovery for the EU market, compared to already negative results for 2009. Over 2008, 2009 and 2010, the market shrank by more than ‐25%. ACEM reminded policy-makers that the envisaged legislation falls during a particular harsh time for a sector that employs directly and indirectly 150.000 people in the EU. There was an intense debate between the manufacturers and the Commission during the conference and with a big audience of at least 160 participants, the conference was an important venue to discuss the issues. The Managing Directors of BMW and Ducati confirmed Stefan Pierer’s assessment of the situation and told Philippe Jean (Head of the DG Enterprise, Automotive sector) that the market still hasn’t bottomed out, arguing that the regulations will put many companies out of business. 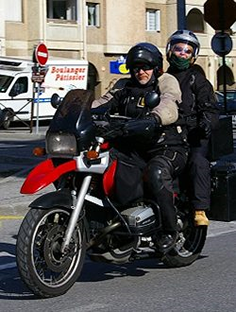 Right To Ride’s, Elaine Hardy asked Philippe Jean what was the rationale for reducing the production limits of small series manufacturers, (motorcycles and trikes from 200 to 50, motorcycle and sidecar combinations from 200 to 100 units).” The short answer was that they want to stop people abusing the system which implies that they aim to penalise legitimate small series manufacturers. However, Mr Jean stated that they are willing to discuss this. Tom Waterer MCIA also raised this question and explained that small series companies like Norton, CCM and Harris are producing new models and these limits would kill their business. Equally ACEM has commented that they are very unhappy about the proposed limits. Regarding the fitting of mandatory Advanced Braking Systems (ABS) ACEM has given the Commission a carrot by accepting mandatory ABS – (ABS Anti-lock Braking Systems and CBS Combined Braking Systems) on light motorcycles up to 125cc and ABS on motorcycles above 125cc from 1/1/2017 but have asked for more time to enable them to do it. Although the manufacturers have asked to include Enduros and Trail bikes in the regulations, they have made it clear that these motorcycles must not have ABS brakes because they are mainly for off-road riding conditions, requiring the possibility to lock the wheels and to use each brake independently. The ACEM representative told Mr Jean that ABS would be dangerous on these motorcycles. There was no direct discussion on anti-tampering due to the fact that the Commission is currently carrying out a study to identify whether there is a problem and if so to what extent, through TRL, a UK based company. However Jacques Compagne, ACEM Secretary General, in his presentation mentioned that the initial objective: to prevent the use of parts that pose significant safety or environmental risks (anti-tampering) would also prevent the sale of duly Type Approved spare parts, if used in racing activities – the sale of racing parts to individuals. ACEMs position is that there is no justification for prohibiting the sale of any product in compliance with Type Approval rules and proposes to delete this from the proposed regulation and have made themselves available to eventually contribute to the drafting of new proposals. Wim van de Camp MEP, IMCO/European Parliament rapporteur, gave his views which were that he represents parliament and that he did not intend to give the Commission an easy time – especially on the calendar of the proposals which includes presentation to the IMCO for the final vote during the summer of 2011. 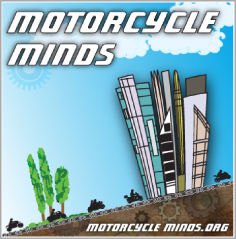 You may ask “why should we at Right To Ride take an interest from our small outpost in Europe at a conference in Brussels which essentially presented the point of view of the Motorcycle Industry”? Well, we have our own opinions about the regulations coming from the EU Commission that affect all motorcycling and for this reason we have set up Right To Ride EU. Our opinions have been formulated from years of experience of campaigning for motorcyclists and motorcycling. Through Right To Ride EU, we aim to fill the void and provide the tools and knowledge to open up discussions about legislation from Europe, starting with the framework proposals from the European Commission.